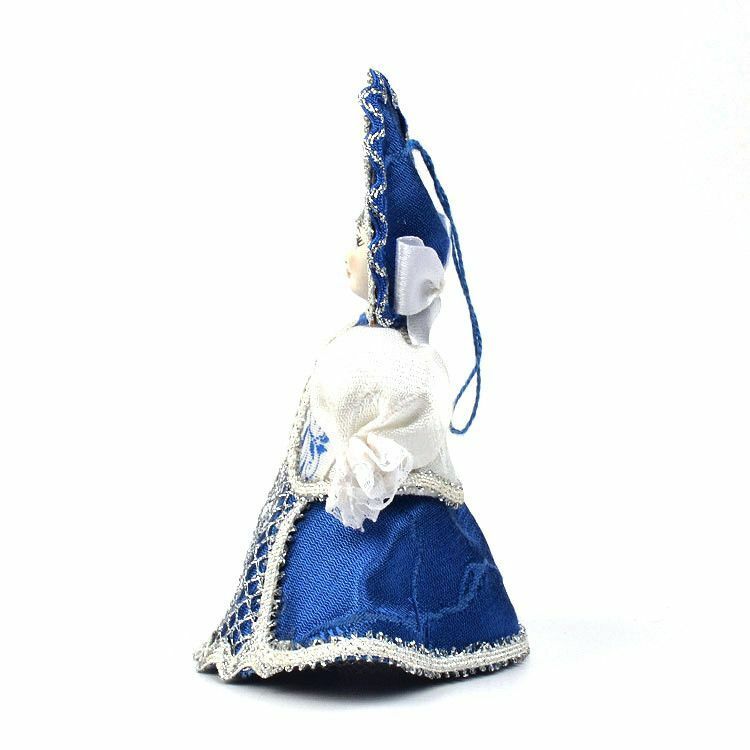 This hand-crafted Russian doll with a porcelain face and Mixed fabrics for her traditional Russian clothing, was made with love in Russia. 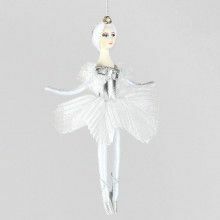 She looks lovely hanging on the Christmas tree, or anywhere really. She also looks great when not hanging at all; anytime of the year. 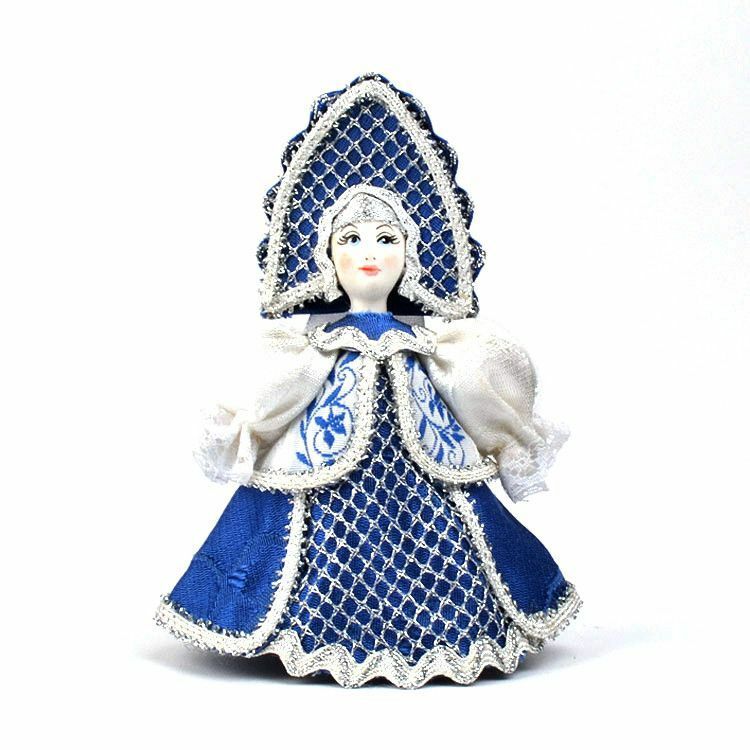 These Russian princess ornament dolls are loved by both children and adults. About 5" tall.